If you’re searching for a vehicle for your daily West Hollywood-area drive, you can buy new, or you can save thousands and choose Certified Pre-Owned instead. Toyota CPO vehicles come in nearly every trim, delivering access to features like Toyota Safety Sense (TSS), powerfully efficient engines, premium materials, and the advanced connectivity that helps you stay up-to-date no matter where the road takes you. Explore our selection of Certified Pre-owned vehicles here, then read on to learn why the Toyota CPO program is a good choice for savvy Mission Hills-area shoppers. WELCOME TO TOYOTA OF DOWNTOWN LA... Certified. CARFAX One-Owner. 2019 Toyota Corolla SE Falcon Gray Metallic FWD CVT 1.8L I4 DOHC Dual VVT-i BLUETOOTH HANDS-FREE CALLING, Distance pacing cruise control: Dynamic Radar Cruise Control (DRCC), Exterior Parking Camera Rear, Radio: Entune Audio w/6.1 Screen, Spoiler, Wheels: 17 x 7.0 Machined Alloy. 28/35 City/Highway MPG Clean CARFAX.Toyota Certified Used Vehicles Details:* Limited Comprehensive Warranty: 12 Month/12,000 Mile (whichever comes first) from certified purchase date. Roadside Assistance for 1 Year* Powertrain Limited Warranty: 84 Month/100,000 Mile (whichever comes first) from original in-service date* Vehicle History* 160 Point Inspection* Transferable Warranty* Warranty Deductible: $50* Roadside AssistanceAt Toyota of Downtown LA, our large inventory and wide selection of brands and models, along with competitive pricing, allow us to make you a great deal on a Pre-Owned Vehicle or Certified Pre-owned Toyota of your choice. Located in the heart of Downtown Los Angeles, we also serve Santa Monica, Hollywood and surrounding areas. Se habla espan ol. WELCOME TO TOYOTA OF DOWNTOWN LA... Recent Arrival! Certified. CARFAX One-Owner. 2018 Toyota C-HR XLE Silver Knockout Metallic FWD CVT 2.0L I4 DOHC 16V BLUETOOTH HANDS-FREE CALLING, C-HR XLE, Distance pacing cruise control: All-Speed Dynamic Radar Cruise Control, Exterior Parking Camera Rear, Radio: AM/FM Stereo w/7 Touch-Screen Display, Steering wheel mounted audio controls, Wheels: 18 Sport Alloy. 27/31 City/Highway MPG Clean CARFAX.Toyota Certified Used Vehicles Details:* 160 Point Inspection* Transferable Warranty* Vehicle History* Powertrain Limited Warranty: 84 Month/100,000 Mile (whichever comes first) from original in-service date* Roadside Assistance* Limited Comprehensive Warranty: 12 Month/12,000 Mile (whichever comes first) from certified purchase date. 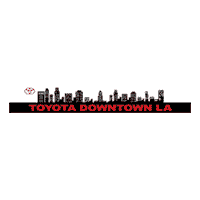 Roadside Assistance for 1 Year* Warranty Deductible: $50At Toyota of Downtown LA, our large inventory and wide selection of brands and models, along with competitive pricing, allow us to make you a great deal on a Pre-Owned Vehicle or Certified Pre-owned Toyota of your choice. Located in the heart of Downtown Los Angeles, we also serve Santa Monica, Hollywood and surrounding areas. Se habla espan ol. Why Choose Toyota Certified Pre-Owned? In addition, you’ll get 1 year of no-cost roadside assistance, so if you have any issues with the vehicle, someone will be there to help.